Meredith likes For King and Country!! Maybe you will too. To celebrate, I am doing a giveaway on DiverseReader for a chance to win an e-copy of this tale of war, passion, and forbidden love. You’ll also have a chance to win a $10 Amazon gift card. Get over there now and read Meredith’s review. Enter the drawing! The drawing closes on Feb.28 so don’t delay. And sign up for my Newsletter – I’ll send out occasional updates, news about giveaways and contests, and offer some exclusive content, including Fifty Shades of 12th Century England, a compilation of fun facts, trivia, and research. 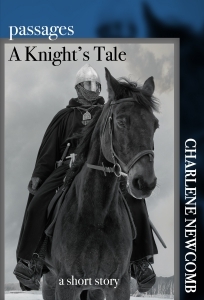 Charlene Newcomb is currently working on Book III of her Battle Scars series, 12th century historical adventures filled with war, political intrigue, and a knightly romance of forbidden love set during the reign of Richard the Lionheart. ← Black Lilac Kitty names For King and Country Book of the Year!